If you’re a single man who owns a bachelor’s pad then you definitely enjoy being in your own space and decorating it however you want based on your own personal style and character. 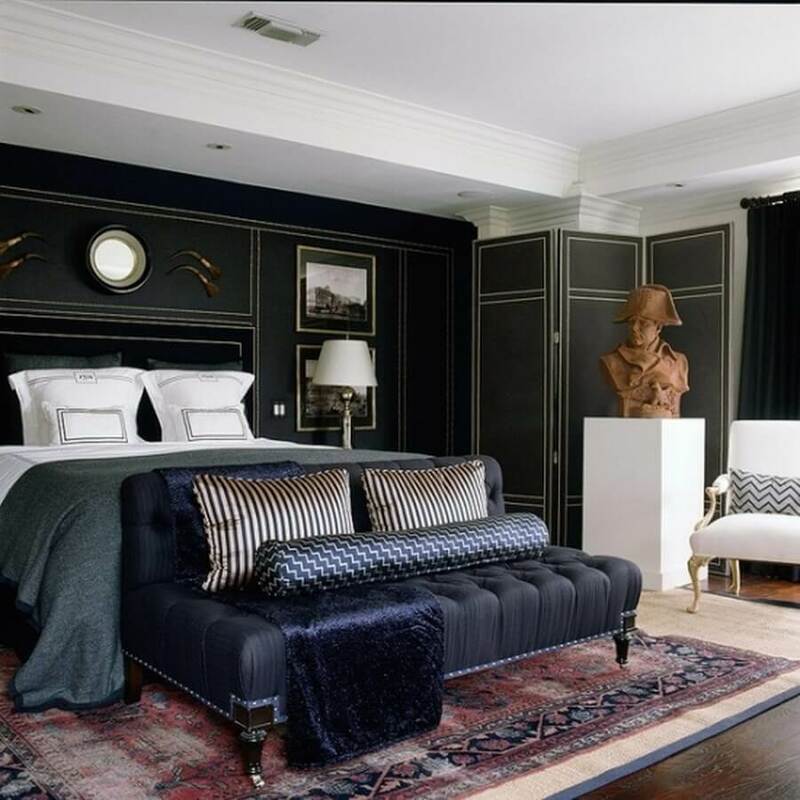 When it comes to decorating a masculine bedroom it usually comes down to minimalist design, deep and dark colors, not using overwhelming accessories and combining everything with elegant decor. Men love tranquil space with elegant lines and sophisticated, mysterious decorative elements that suit their nature. If you’re interested in styling a bedroom in a purely masculine way then check out some of these incredible examples of masculine bedroom designs we’ve chosen for this post. Enjoy! Just take a look at the grandiose design of this bedroom! 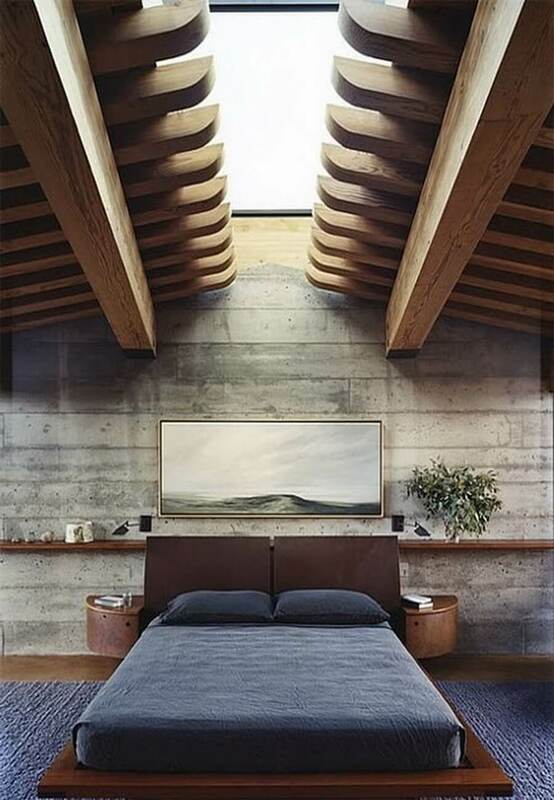 The skylight ceiling and the distinctive wooden construction underneath, along with the accent concrete wall and contemporary bed design as well as the deep tranquil colors displays such a superb masculine design that makes an incredibly strong statement that absolutely cannot go unnoticed. Every single piece in this bedroom is so unique and unconventional which makes this room super eye catching and extremely impressive! 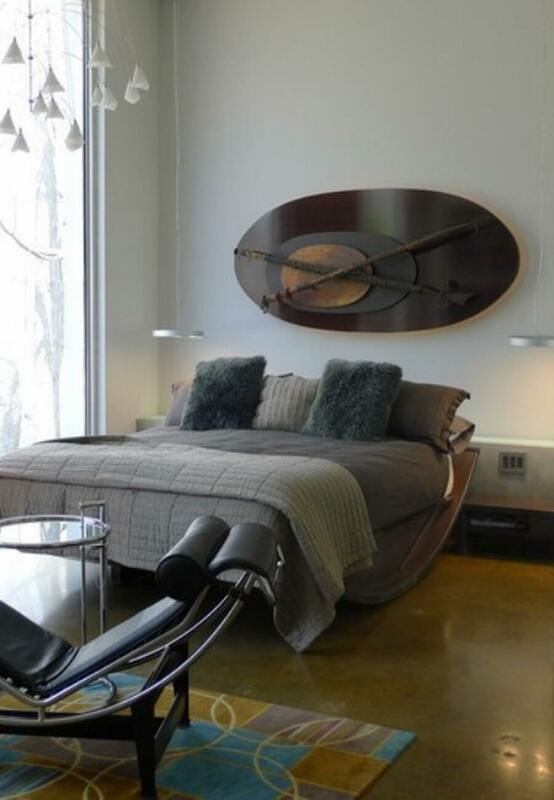 There is such an elegance and grace in this masculine bedroom design. The deep rich colors, sophisticated lines, distinctive decorative elements like that bust and luxurious textures create a striking and splendid bedroom appeal. The inviting and cozy appearance of this bedroom is due to the warm color palette, the illuminating lighting and the catchy and interesting decorative pieces. The black wall adds a touch of drama to the space while still managing to look quite pleasant and nice. You can never go wrong by going all neutral in a space, especially if you want to create a calm, tranquil and elegant ambiance. Just adjust the light to accentuate the details like you see here and you’ll have a brilliant sleeping spot for both men and women. 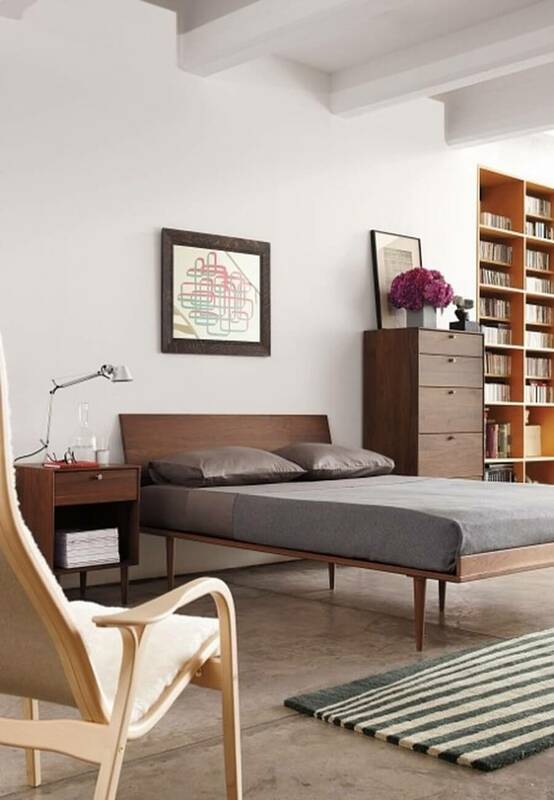 This bedroom looks calm, simple and yet very gorgeous but in a masculine way. 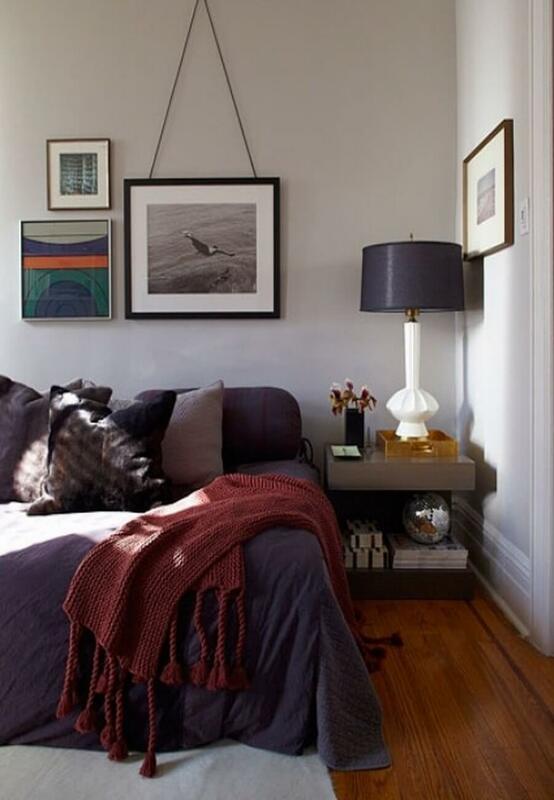 The simplicity of the neutral color hues, design and accessories makes it look airy, comfy and very pleasant. This is such a dramatic setting and one for the unique personalities only! 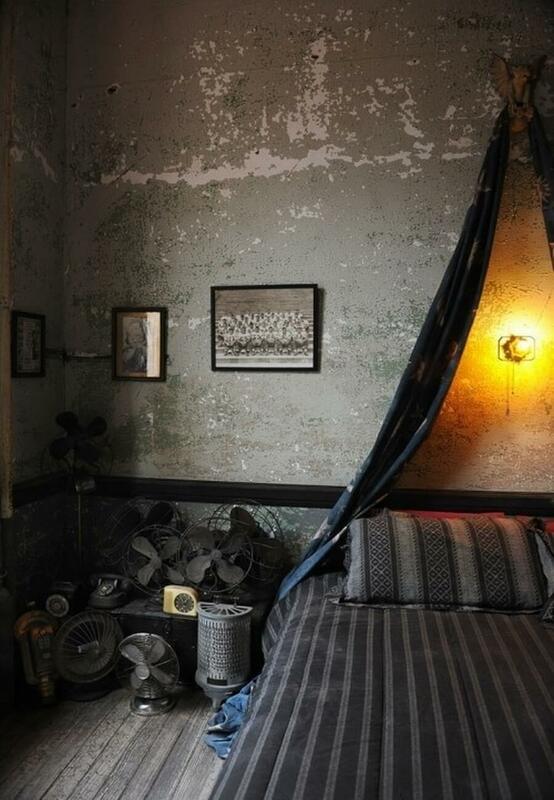 It’s a very peculiar design with the old fans, concrete walls, exposed lighting and dark tent-like bed. However, even though the design is not what you’d expect this room ends up being very striking and impressive. This bedroom is super comfortable and cozy. It radiates with an inviting and pleasant appeal. 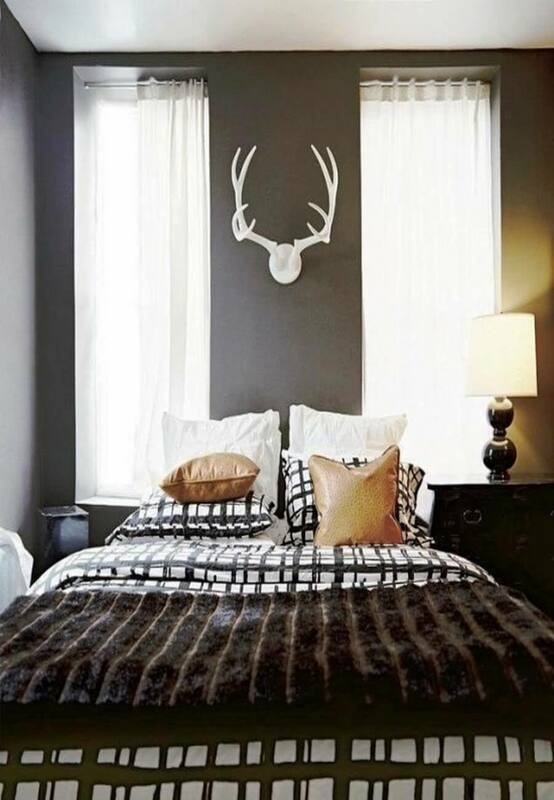 The dark color palette used here makes it the perfect bachelor’s bedroom. 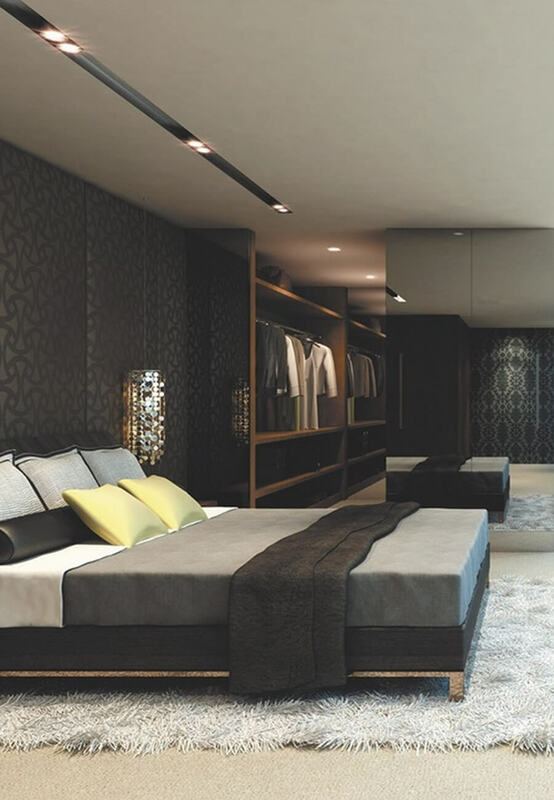 This is a super modern bedroom design with a black and grey color palette and white accents. The luxurious and contemporary appearance of the room makes it look incredible and in demand. The chandelier which would typically give off a feminine vibe somehow fits in this space perfectly. The mixture of colors, textures and forms in this room makes it look utterly vibrant while at the same time pleasant and comfortable. There’s a lovely combination of shades here that would work for any man’s bedroom. This bedroom simply screams masculine elegance, sophistication and energy. Everying in here is extremely stylish, luxurious and full of great taste. We have to give major props to the designer of this room as it’s our personal favorite in this series of bedroom designs. We love that soft rug and gorgeous large walk-in closet. We love these vibrant bed sheets and they accent leather pillows that instantly perk up this grey masculine bedroom. Leather is always a perfect element to use if you’re trying to create a masculine feel. The best part of this room though is that mounted trophy on the wall. It adds just the right amount of personal charm and character to the spot. Who says that only dark rooms can be masculine? 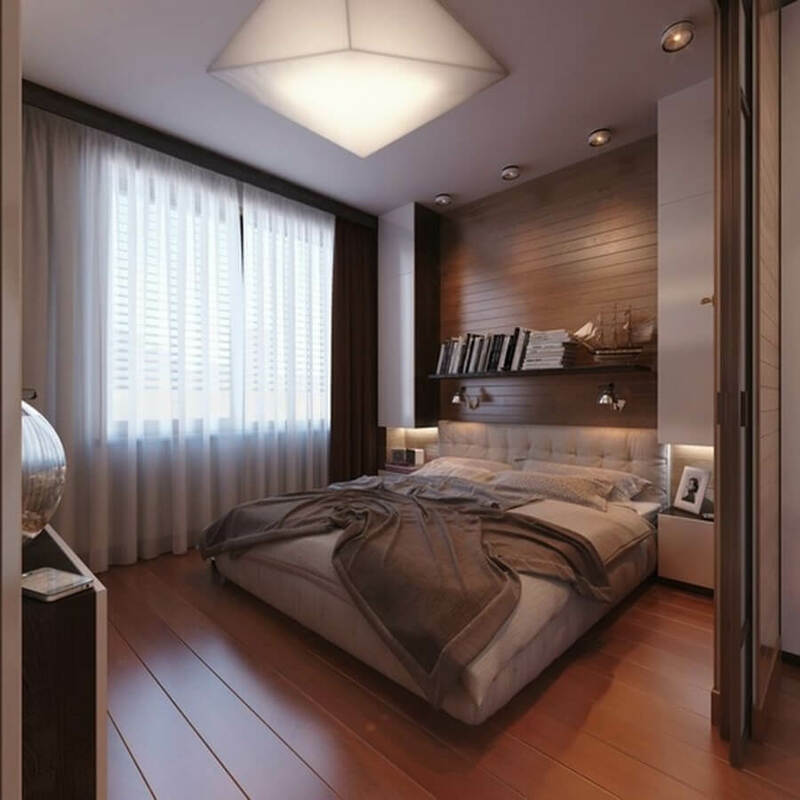 This distinctive bright bedroom with its minimalist design and catchy touches makes a perfect masculine sleeping spot.